A person’s genome is a unique combination of genes inherited from both his or her mother and father (with some random mutations thrown in). But each person also inherits another type of DNA — mitochondrial DNA (mtDNA). 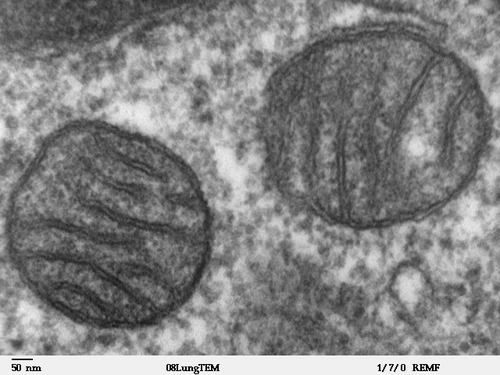 Mitochondria, the bacteria-like organelles that provide power for our cells, contain their own genomes. An individual’s mtDNA is almost identical to that of his or her mother’s mtDNA because those mitochondria are direct descendants of the mitochondria in the fertilized egg cell (the sperm’s mitochondria are usually chewed up by the egg). In fact, we can take advantage of this to track how groups of people are genetically related and to trace our own ancestry. But the fact that mtDNA is only inherited from our mothers produces an interesting evolutionary phenomenon: some mutations in mtDNA are harmful only to male offspring and not to female offspring. A recent paper by M. Florencia Camus, David Clancy, and Damian Dowling published in Current Biology examines how this “Mother’s Curse” may lead to shorter lifespans in male flies.